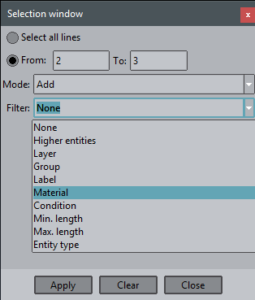 Anytime user is making a selection inside GiD (geometry or mesh entities), the selection window can be used to apply useful filters to the selection. 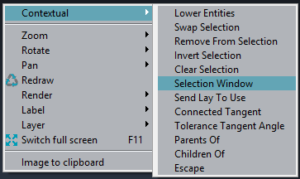 This option can be activated in preprocess mode selecting the menu Utilities->Tools->Selection window. It can also be activated from the contextual menu, clicking with the right mouse button.